Business leaders understand that investing in the communities where their employees work and their customers live makes good business sense. By building strong partnerships through broad corporate support, the Illinois Philharmonic Orchestra attracts world-class guest artists and conductors to the Chicago Southland. 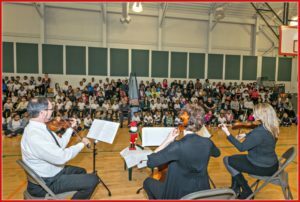 The IPO provides vital music education and community outreach programs that help expand the love of classical music to audiences who would not otherwise have the opportunity to attend symphony performances. For more information on how your business or corporation can support the important work of the IPO and enjoy the benefits we offer, please contact the IPO office at 708.481.7774.